Renee Thole, a middle school social studies teacher who told a 13-year-old black student that he would be lynched if he didn’t behave, will not be suspended or fired. According to Cincinnati.com, Thole, who teaches at Mason Middle School in Mason, Ohio, made the comment in December. 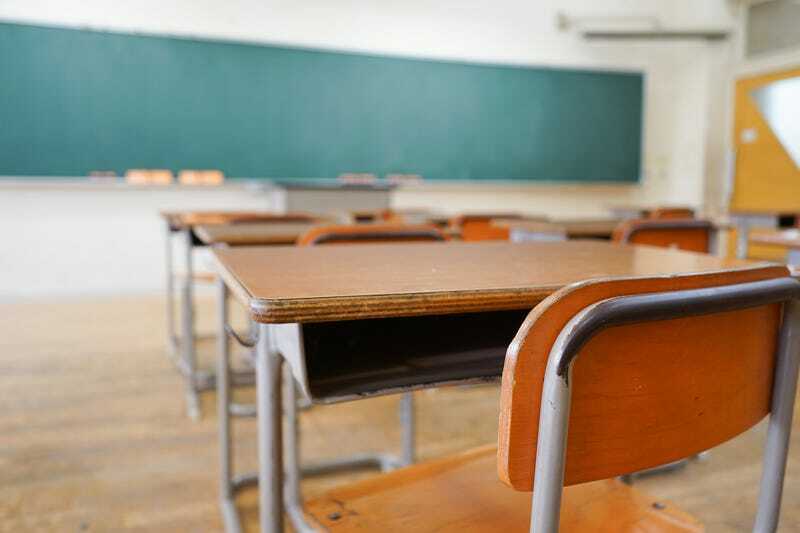 Thole submitted a statement during the district’s investigation of the incident that said the student was off-task and not responding to her instructions. The statement matched what the student’s mother, Tanisha Agee-Bell, told Cincinnati.com in an earlier article this week. Agee-Bell told the reporter that her son had called out Thole’s comment in class for being racist, but a week before telling his mother what had happened. Agee-Bell said that her son was afraid he would get in trouble because he had talked back to his teacher. I made a public comment, so I would like to make a public apology. Today is a day where we can learn the importance of thinking before you speak. I made a comment the other day where I didn’t stop and think before I spoke. As a result of that I deeply hurt a student and I regret that. Just because I never meant to hurt anyone, doesn’t mean that didn’t happen, so [redacted], I’m sorry. If I had just taken two seconds to think before used the world lynch, I would have not hurt a student. I didn’t think about all of the ugliness and horrible history surrounding that word before I used it. [Redacted] I am deeply sorry and I hope that you can forgive me. Agee-Bell noted that Thole never explained why the comment, which was made to a majority-white class, was so wrong. Mason City Schools, instead of firing or suspending Thole, has required the teacher to attend cultural training. A formal letter of reprimand will also be placed in her personnel file. District spokeswoman Tracey Carson said that the comments were a “serious miss” on Thole’s part and that they were especially disturbing given the history and practice of lynching in this country. Following the incident, Agee-Bell also had her son removed from Tholes’ social studies class.